BJP president Amit Shah on Friday asserted that his party is committed to constructing the Ram temple in Ayodhya. He has asked Congress, Samajwadi Party (SP) and Bahujan Samaj Party (BSP) to clear their stand on the issue, which is currently sub judice. 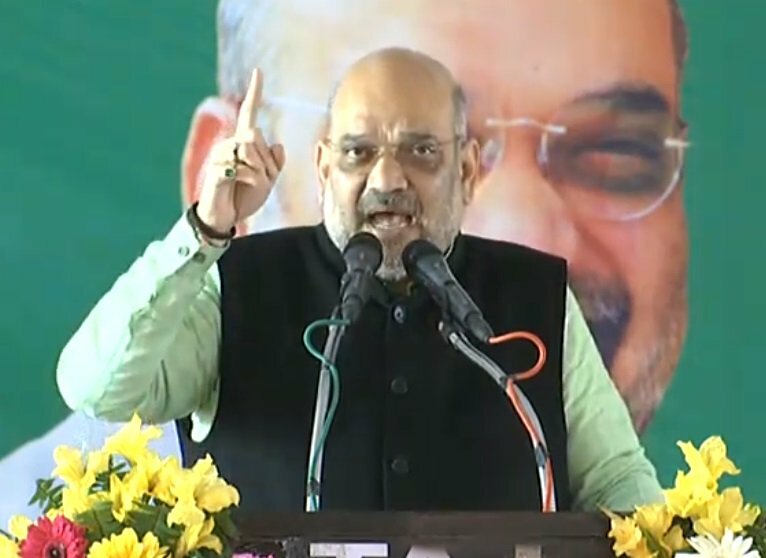 Maharajgan: BJP president Amit Shah on Friday asserted that his party is committed to constructing the Ram temple in Ayodhya. He has asked Congress, Samajwadi Party (SP) and Bahujan Samaj Party (BSP) to clear their stand on the issue, which is currently sub judice. 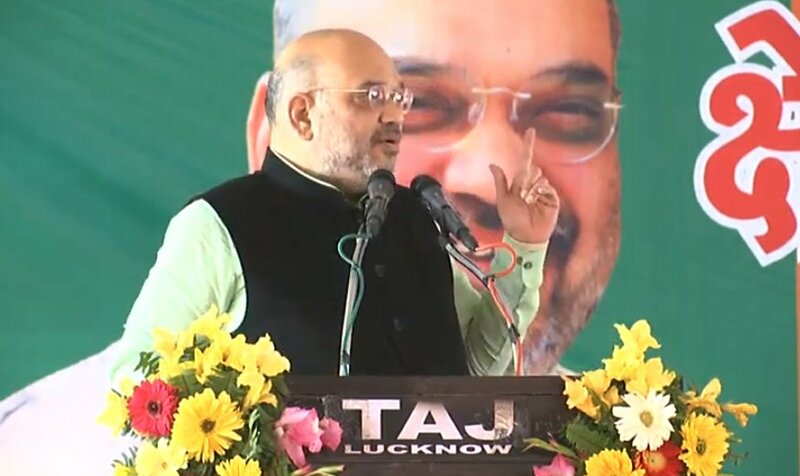 Shah said at a booth level rally of party workers: "BJP is committed to making the Ram Temple at the same place in Ayodhya... As soon as the case of Ram temple came up, the Congress party said this should be done after 2019. Why? It is the oldest case in India. Why do you want to delay this case? He added, "I want to ask Akhilesh Yadav, Mayawati and Rahul Gandhi, what's your stand on the Ram temple? Whether you agree or not, BJP will make sure that Ram temple is constructed at that place." Meanwhile, speaking at the rally, Shah said that "BJP does not function on basis of the dynasty but on democracy." "When our government is formed, there is development. During 'Bua-Bhatija' (Mayawati and Akhilesh Yadav) reign, Purvanchal was going through menace of mosquitoes and mafia. After BJP government was formed mafia disappeared, encephalitis cases are going down."